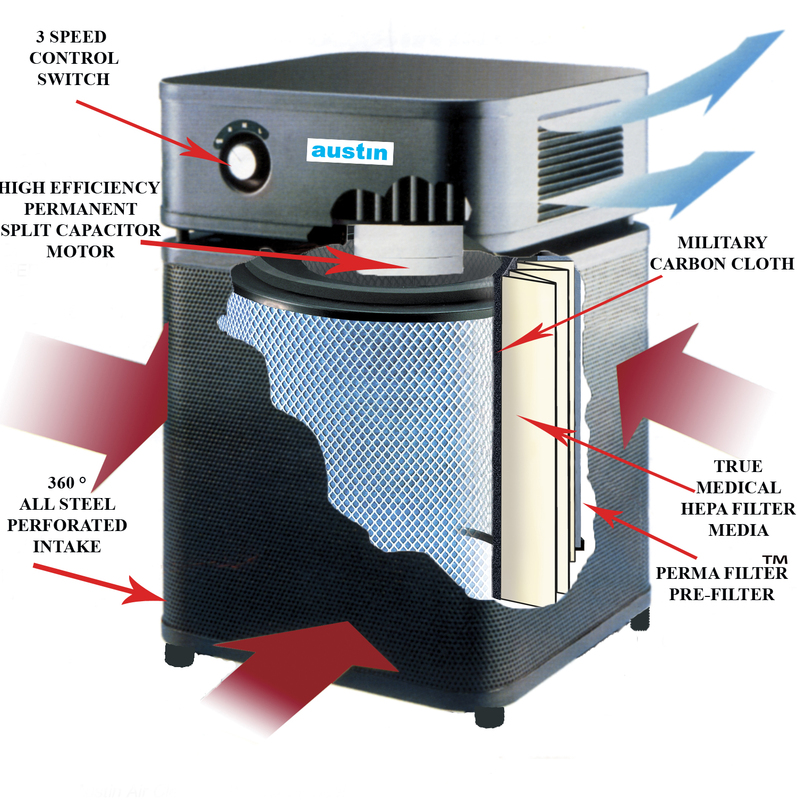 Cleans 700 sq ft. - Draws over 125 cubic feet of air through a 4-stage HEPA filter. 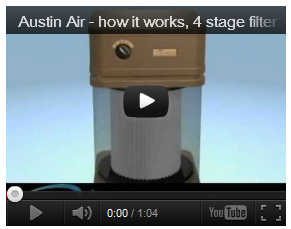 Austin Air offers a 5-year pro-rated filter warranty, by far the most comprehensive in the industry. No more costly filter replacements every few months or even years. Austin Air filters are designed to last for an amazing 5-years. The Baby’s Breath™ provides a comprehensive air cleaning solution, removing allergens, asthma irritants, sub-micron particles, chemicals and noxious gases. Every minute, The Baby’s Breath™ draws over 125 cubic feet of air through a 4-stage HEGA filter containing Activated Military Carbon Cloth and over 30 square feet of True Medical Grade HEPA. The result, more clean air delivered faster and more efficiently than any other air cleaner on the market. STAGE 4 – Activated Military Carbon Cloth Removes chemicals, gases and odors (e.g. formaldehyde and ammonia).